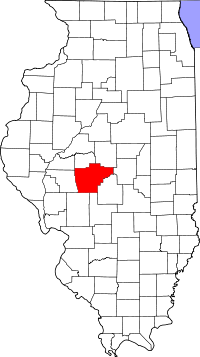 Sangamon County was formed in 1821 and was also home to Abraham Lincoln. Vital records for Sangamon County can be obtained from the Sangamon County Clerk's Office. The Sangamon County Clerk's Department of Vital Records provides certified copies of these documents for eligible individuals upon request. Applications and information on how to apply for a copy of a vital record such as a birth, death or marriage certificate can be found on the Sangamon County Clerk's website. Requests for vital records can also be made to the Illinois Department of Public Health Division of Vital Records. To obtain divorce records for Sangamon County you can contact the Hancock County Circuit Clerk's Office.